Can You Have a Wedding Without Obtaining a Marriage License? Can a Notary Republic Marry People? Notary publics can perform wedding ceremonies in Maine, Florida, and South Carolina. 1 Can You Have a Wedding Without Obtaining a Marriage License? A notary public is someone who can legally witness and certify the signatures on documents and administer oaths in depositions and other non-court situations. Notaries can perform marriages in Maine, South Carolina, and Florida. Each state has its own laws regarding the requirements to become a notary, but in general, anyone who wants to become a notary must be approved by a government official or agency after completing the necessary applications and training. Couples may choose to have a notary public perform their ceremony because they may not be religious or feel comfortable having a religious wedding ceremony. 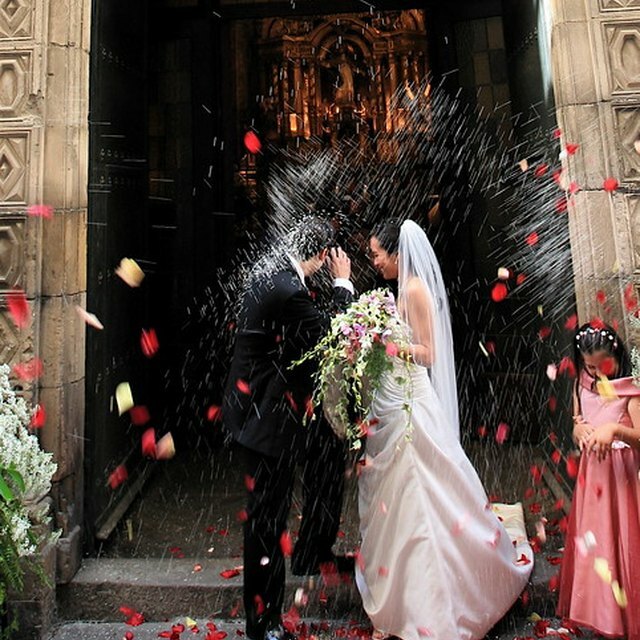 The bride and groom may have different religious backgrounds and choose a civil ceremony to prevent complications. Others choose a civil ceremony because they wish to have an unconventional wedding that would be inappropriate or not allowed in a church, or they wish to have a friend or family member perform the ceremony. The requirements for a marriage ceremony performed by a notary public are the same as any other type of marriage ceremony. Couples must obtain a marriage license from the appropriate authority in their city or county, and exchange vows. The notary public then certifies the marriage and returns the license to the office that issued it. National Notary Association: What is a Notary Public? What Is a Commitment Ceremony?